Kate had McQueen Wave Ruffle jacket customized for her son's baptism. 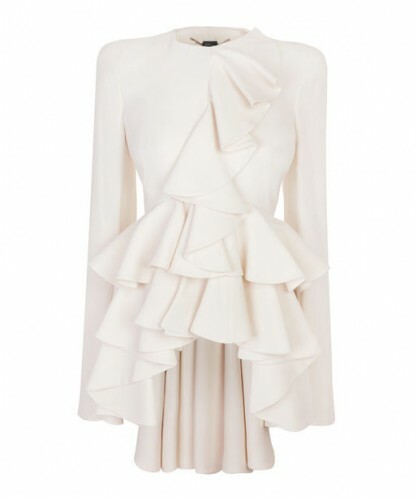 The original piece from the 2012 collection was described as a, "leaf crepe jacket with wave ruffle panel running front and back and up the closure of the jacket; jacket has rounded padded shoulders and silk lining. Material: 50% Acrylic 50% Viscose." Retail: $3,975.